Mahina Maeda (HAW) enjoying the spoils of victory at the Samsung Galaxy Hainan Pro. 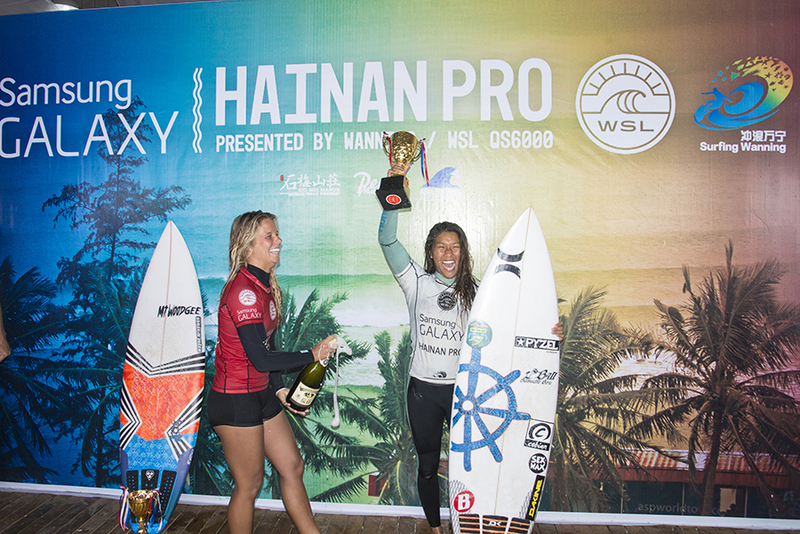 WANNING, Hainan/China (Monday, January 18, 2015) – Mahina Maeda (HAW) has taken out the first women’s Qualifying Series (QS) event of 2015, the Samsung Galaxy Hainan Pro presented by Wanning over Paige Hareb (NZL). The surf continued to pump out the goods as the event ran through the Quarterfinals, Semis and Final with competitors holding nothing back in the fight for all-important QS6000 ranking’s points. Maeda is continuing her red-hot form fresh from winning the WSL World Junior Title in Portugal last November at a righthand point break and today winning the Samsung Galaxy Hainan Pro at a lefthand point break. Maeda was behind in the all goofy-footer final, but fought back with a solid 9.00 ride to steal the win. 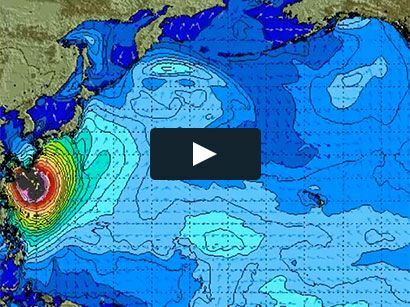 At only 16-years-old Maeda has sent a warning shot to the rest of the world’s best surfers. 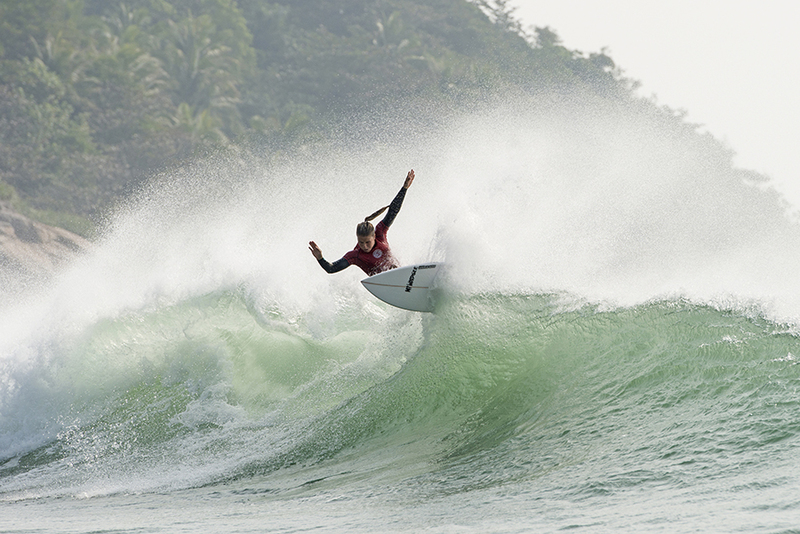 Hareb dropped off the WCT last year, but has bounced back with a solid showing at the Samsung Galaxy Hainan Pro finishing runner-up to Maeda in a tight Final that was only decided by just 0.40 of a point. Hareb ferociously attacked the long lefts on offer, posting excellent rides in every heat as she stormed to her podium finish. Bronte Macaulay (AUS) scored the event’s only 10-point-ride in her heat yesterday afternoon was unable to re-capture that form and was eliminated in her Quarterfinal by Maeda. Chelsea Tuach (BRB) surfed fantastically all event long and was only 10 minutes from booking a spot in the final as she led Maeda in the dying minutes of their Semifinal clash. Tuach however was unable to stop a rampaging Maeda and was forced to settle for an equal 3rd place.